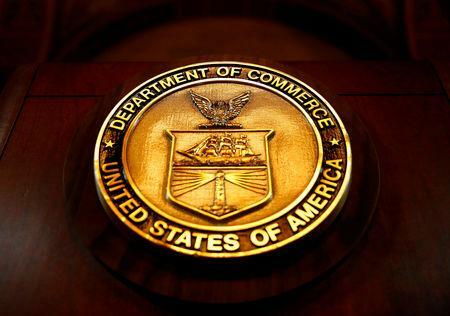 WASHINGTON (Reuters) - The U.S. Commerce Department said on Wednesday that is adding 37 Chinese companies and schools to a red-flag list of "unverified" entities that U.S. companies should treat with caution, according to a notice in the Federal Register. China's commerce ministry, when asked on Thursday about its response, said it opposed abuses of national security and export control rules, adding the U.S. action has smeared Chinese firms and disrupted normal trade flow. The U.S. government should correct its "wrong" behavior by removing the relevant Chinese companies from the list as soon as possible, ministry spokesman Gao Feng told reporters in a regular briefing in Beijing. Being put on an "unverified" list means that U.S. suppliers to the unverified companies and schools can no longer use license exceptions to, for example, sell products to repair goods that were sold previously but instead will have to get a new license, said Wolf, now at the law firm Akin Gump. "Even though it's not an embargo, because of the hassle sometimes suppliers will treat it as an embargo. It has a practical effect that's greater than the legal effect," said Wolf. The Commerce Department will put entities on the "unverified" list if the organizations decline to answer questions about how U.S. goods are used. Other schools on the list are the Guangdong University of Technology in Guangzhou, Renmin University, Tongji University in Shanghai and two schools in Xi'an, China.